"I'm all about connecting people whether that be for love, business or friendship." What's up, internet friends? It is time, once again, to meet the Angry Reader of the Week, spotlighting you, the very special readers of this website. Over the years, I've been able to connect with a lot of cool folks, and this is a way of showing some appreciation and attention to the people who help make this blog what it is. This week's Angry Reader is Stephen Liu. 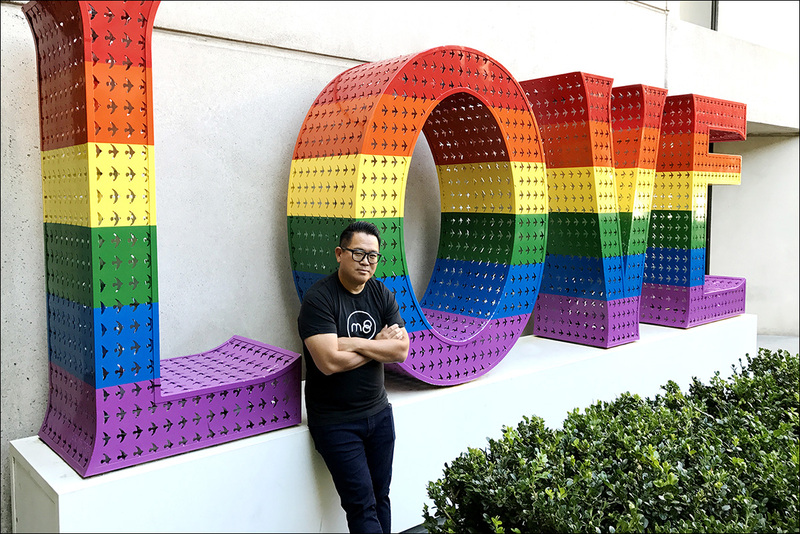 I'm Stephen Liu, CEO/Chief Matchmaker of a new IOS matchmaking app called M8 which is powered by humans who are your friends. I'm probably best known as the Founder of the Asian Professional Exchange (APEX) which is celebrating our 25th anniversary this year on September 29th at the Millenium Biltmore. I'm in Hermosa Beach with my wife Linda chasing around our very active 3-year-old son named Kingston. Born in Michigan and grew up in NY, Ilinois, Maryland and mostly sunny San Diego. I actually come from a long line of Lius -- 71 generations to be exact. My father has traced our ancestry to a concubine of a dude named Liu Bang -- a peasant who became an emperor in China. Well, my Linkedin profile says Serial Entrepreneur, Community Organizer, Blockchain Enthusiast and Matchmaker of Love. If you added Dad and Husband -- that would pretty much cover it. I'm all about connecting people whether that be for love, business or friendship. It makes our social networks denser and our communities closer -- which I believe is a good thing for society in general. I'm very proud that I have been personally responsible for hundreds of marriages, jobs, business deals and friendships. I'm angry that the "glass ceiling" for Asian Americans is still not shattered after all these years. We are still the least likely race (including blacks and Hispanics) to be promoted into management or made a partner -- much less sit on a corporate board. Our relative success by some key measures such as education and income is also our Achilles heel. Because Asian Americans are perceived as "not underrepresented," we are not included in key diversity programs for upper management and even in university admissions -- just when we are getting started in life. I wonder what would be the long-term impact if Asian Americans were somehow considered "underrepresented" by just one school -- Harvard -- which is the number one university in the United States that consistently creates the most Fortune 500 CEOs, Biglaw partners, and U.S. Congressmen.